Gypsy and MJ, now Gizmo and Maya, were adopted fall 2014 by Candice. These two tiny cuties have had quite the North American journey! 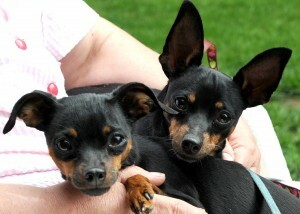 Mary Jane and Gypsy came all the way from Kentucky, where they had been surrendered as the owners were moving. They love each other and needed to stay together!